As one of Finland’s favourite chefs, Tomi is often asked to cook at special occasions, events and activations. Most memorably, he had the honour of cooking for the Embassy of Denmark in Helsinki. He carefully curated and prepared a menu for the Royal Visit in 2018. 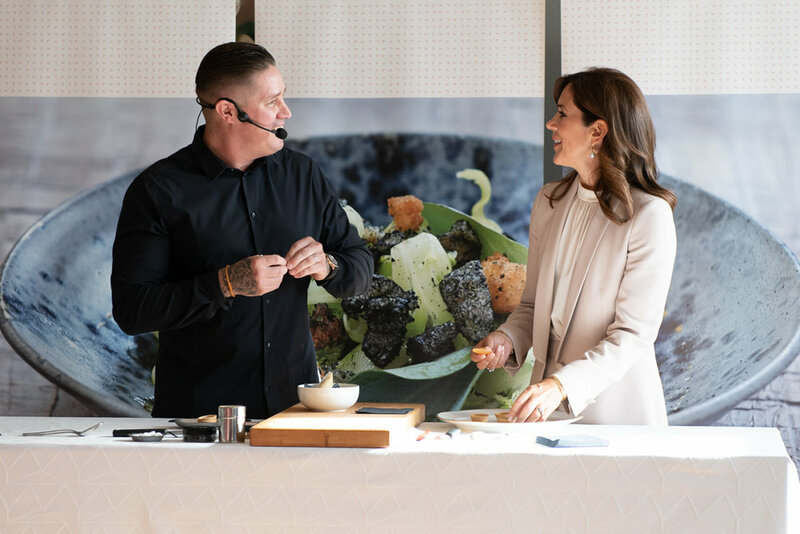 With a spotlight on local cuisine, Tomi showcased Finnish delicacies for Mary, Crown Princess of Denmark in Helsinki.